Some highly educated people are competing for this reserved City Hall parking space. NORWALK, Conn. – Norwalk’s schools superintendent search is proceeding, and the Board of Education is meeting Thursday night to discuss the candidates in secret. No details will be released after the executive session, Board of Education Chairman Mike Lyons said, but he did give some information as to what is going on. 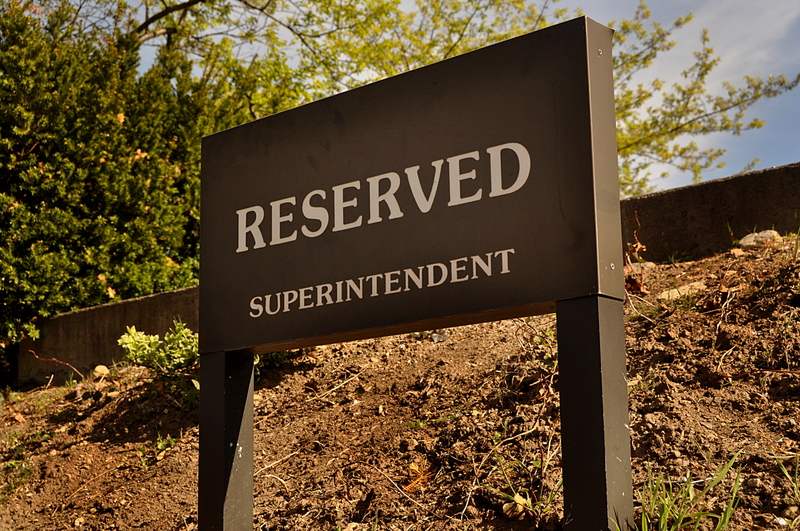 The field of superintendent candidates has been narrowed from 85 to 10 or 12 by the search firm PROACT, based on the candidate’s degree of match to the profile developed by the board. Those applicants are being presented to the board Thursday night. Those 10 or 12 will be interviewed by the entire board via Skype. Then there will be in-person interviews with two to four candidates, all within the next two weeks. Of the 85 candidates, 69 percent are men and 31 percent are women. Only 8 percent are from Connecticut. They are highly educated: 99 percent have a Masters degree and 70 percent have doctorates, Lyons said.